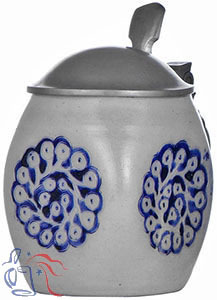 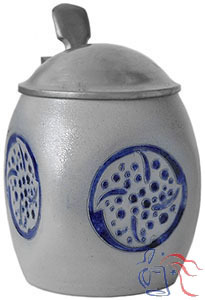 Stoneware, incised, 1.0L or 0.5L, pewter lid. 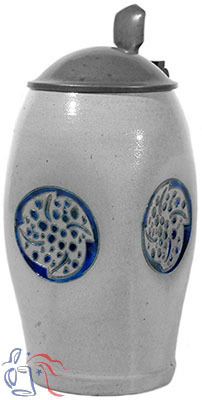 Designs attributed to Richard Riemerschmid. 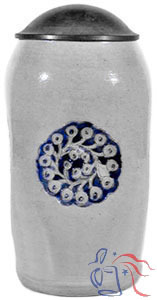 The 1.0L version of this body style has been seen with at least six different incised decorations (five shown). 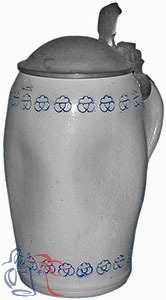 Only two variations of the 0.5L size are currently known to exist. 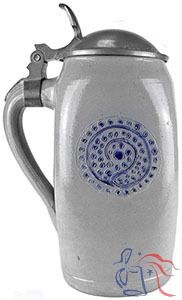 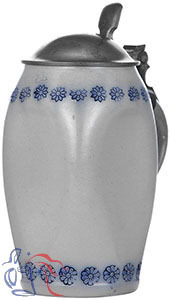 Same body style was also used with a variety of transfer decorated steins.